PingChat! is the ultimate way to communicate with all of your friends, on all major smartphone platforms. PingChat! provides free, unlimited, cross-platform, smartphone-to-smartphone messaging, with real-time conversations, group chat, media sharing, and much more. Simply create a Ping! ID, share your ID with all your friends, and start Pinging! PingChat! works with all major smartphones. That means regardless of what smartphone your friends have you will be able to connect with ALL of your friends! PingChat! gives you THE BEST SPEED AND RELIABILITY. Messages are delivered as soon as you tap the send button. PingChat! 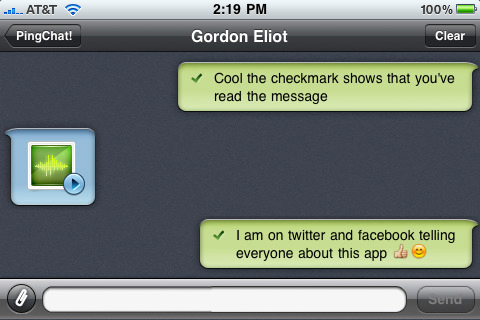 shows you when your message has been successfully sent and when your recipient has read the message. You won’t need to pay your carrier for text messaging. Wi-Fi or your current data plan is all it takes to send messages. PingChat! is always free, even when messaging overseas and works in ANY COUNTRY in the world. 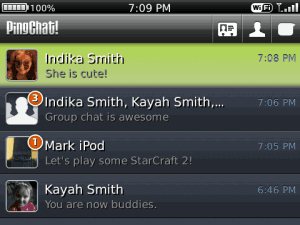 Unlike instant messengers, PingChat! is built for your smartphone. This means that you are always online and reachable. All PingChat! messages are stored offline and delivered to you as soon as you are reachable. Socialize with a group of friends. PingChat! provides seamless quick group conversations allowing you to communicate with your entire friend circle. Send photos, videos, voice notes, contacts and map locations seamlessly directly in your conversations. it’s so discreet, there’s no icon to launch it. Simply type your custom launch-key on the keypad and your ‘BlackBook’ appears. 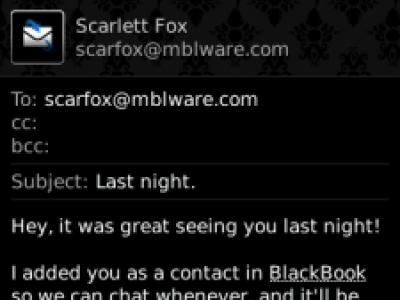 So what’s new in BlackBook v4.0.0.109? 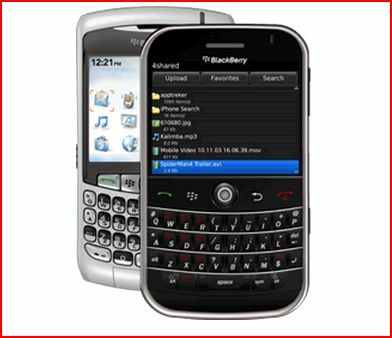 – BLACKBERRY OS 7 NOW SUPPORTED! Get a quick overview on your BlackBerry® device s battery state. – Tracks battery status over time – Line chart visualization of battery state by day, week, month. 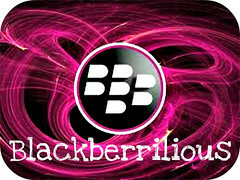 – Integration into native BlackBerry® applications – Battery level indicator icon and battery state (full charged, charging, unplugged). – Running out of battery warnings – Adjustable warning level and notifications. Lock BBM is by far the best app available for BlackBerry® to ensure your complete PRIVACY and SECURITY. Lock BBM allows you to password protect your BlackBerry Messenger from unauthorized access and have a complete control over your BBM while leaving the device open for normal use like Phone, Internet, Games and Apps. Please read the NOTE below before installation. * Quickly switch between Lock and Unlock mode. * No problem of battery drainage! 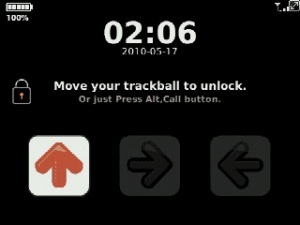 app icon. 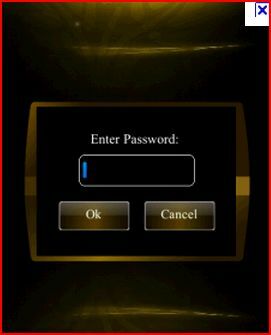 Then enter any password of your choice of minimum 4 characters. With the new ACCU WEATHERapplication for BlackBerry, your location is pinpointed from anywhere in the world using the latest in GPS technology (on supported devices). From there, you have the most detailed, reliable, and up-to-date weather news and information that you need to plan your life. Weather impacts every person. From planning day-to-day activities to making future business or personal plans, you need fast, easy access to weather information from a weather source that you can rely on. 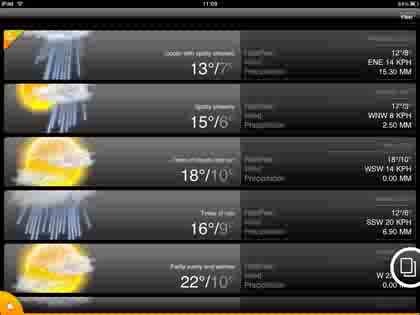 The ACCU WEATHER application includes: Local forecasts for all global locations. Updated every hour, forecasts include twelve hours of accurate, localized forecasts along with twelve days of detailed, day-by-day, weather forecasts and information. Warnings for severe weather threats, such as snow and ice, rain and thunderstorms, high winds, and tornadoes. Multiple weather views including radar, satellite, videos, and maps. Special weather information for travelers, including a trip planner, hotel finder, and airport travel delay notices. Special lifestyle weather and health forecasts, such as conditions for specific outdoor activities and sports, including lawn mowing, dog walking, and golfing, and health-related weather forecasts, such as UV forecasts and weather conditions for people suffering from allergies. A customizable, continually updated Snapshot View that gives you access to a range of features in one easy-to access display screen, including current conditions and weather warnings for up to 20 of your saved locations. Colorful and easy-to-use interface for a simple and intuitive navigation. With 4shared mobile for Blackberry you get instant access to your data at 4shared account. You can manage your data and make any files mobile anytime and from anywhere.